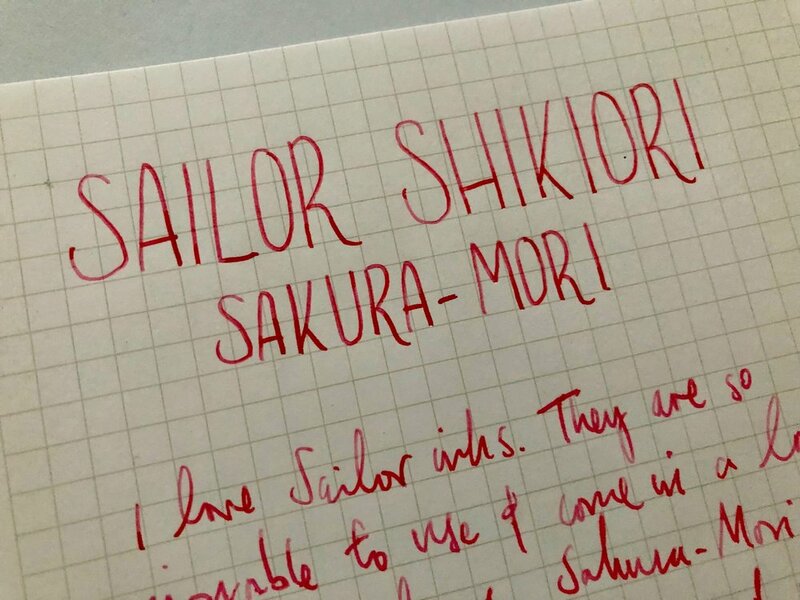 Sailor Shikiori: Sakura-Mori ink review. I am a big fan of Sailor inks. I have found that they consistently perform well and they come in such beautiful colours. 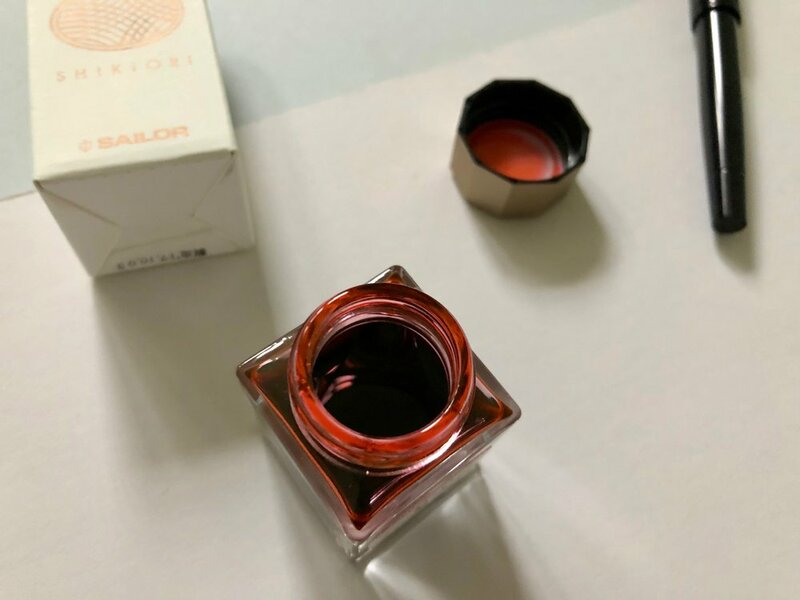 When the Sailor Shikiori inks arrived in the UK earlier on this year, in the now smaller 20ml bottle, I took a punt on trying out the Sakura-Mori. The smaller bottle size and lower price point made me more willing to try out this colour. Normally these sort of light tones put me off. I always feel like you’re going to be disappointed because it’s never going to be strong or vibrant enough. The Sakura-Mori takes its name and colour from the beautiful Japanese blossoms being a light pink ink. It's one of the lightest shades in the Shikiori range and a bit of an outlier. 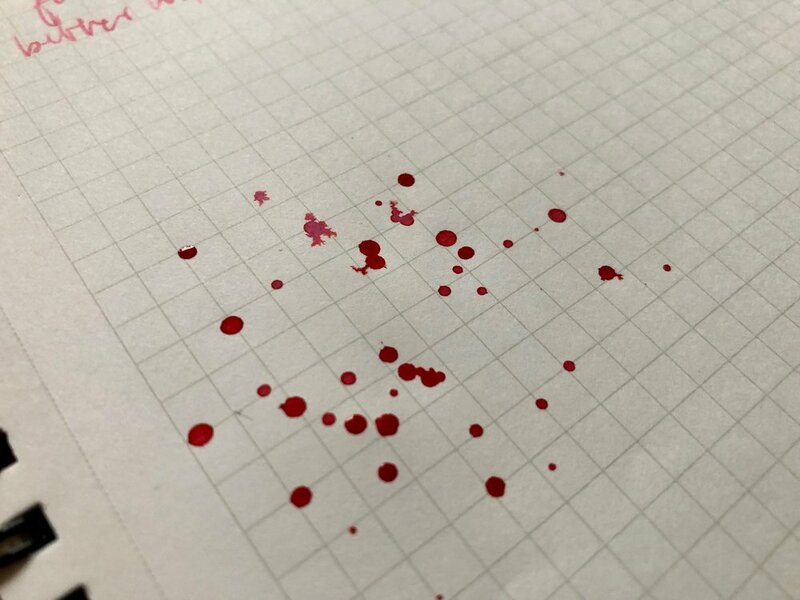 It is a very pretty and slightly unusual pink ink. I don’t think there are many similar inks out there, perhaps there’s one from Pilot. The Sakura-Mori is a pretty flat ink colour. There is a tiny bit of any shading there if you’re really trying hard and use a broad nib. This colour doesn’t work well in a fine nib fountain pen. To really get the benefits and make your writing legible the broader the nib the better. The light colour means its not strong enough on the page and can feel like it’s disappeared. But put this ink in a medium or broad nib pen, really lay down some ink on the page and this colour comes into its own. This isn't an ink I use everyday or would have permanently inked up in a fountain pen. It’s also perhaps not an ink I would restock if I ran out. But its a nice ink and I’ve enjoyed using it. I’m glad I’ve tried it too because I am always curious about these light pink shades and this feels like the best brand to try out.